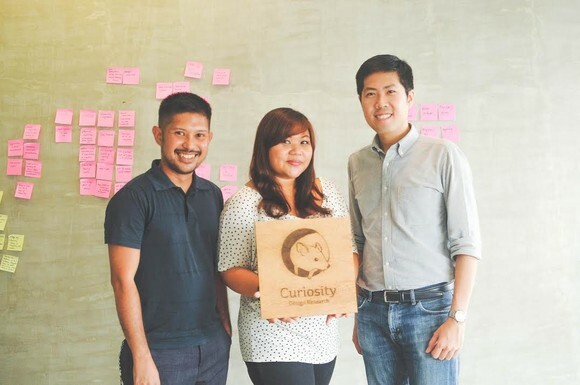 Curiosity is a Manila-based design strategy consultancy dedicated to helping businesses, NGOs, and government create meaningful services by drawing upon local insight. We believe that by participating in people’s everyday activities, we can help decision-makers and designers create services that are powerful in enriching the human experience. From the conceptualization stage to prototype testing to post-launch evaluation, we apply a diverse set of research and design techniques to find the balance between what users value and what our clients can deliver. Our team of researchers, designers, and innovation consultants bring more than 60 years of combined experience working with multinationals, local companies, NGOs, universities, and governments within Asia, North America, and Europe. Our clients include Ayala Corporation, Ayala Healthcare Holdings, Globe Telecom, Bank of the Philippine Islands, Sun Life Financial, and Johnson & Johnson. Visit www.curiosity.ph for more information. This entry was written by STBY, posted on June 7, 2017 at 09:13, filed under Who we are. Bookmark the permalink. Follow any comments here with the RSS feed for this post. Post a comment or leave a trackback: Trackback URL.